Two Wild Card Series In the Works at Hulu | Nerd Much? George R. R. Martin is one hell of a busy man. Not only is the author still plugging away on The Winds of Winter, the A Song of Ice and Fire novel that’s been in the works for at least 7 years now. But he’s actively working on HBO’s Game of Thrones prequel/spin-off too. Well, add another project to the man’s list. Variety is reporting that Hulu is working with Martin to develop not one, but two Wild Cards series for their streaming platform. Wild Cards is a series of novels based around superheroes of sorts. Martin and Melinda Snodgrass are listed as co-editors of the book saga. 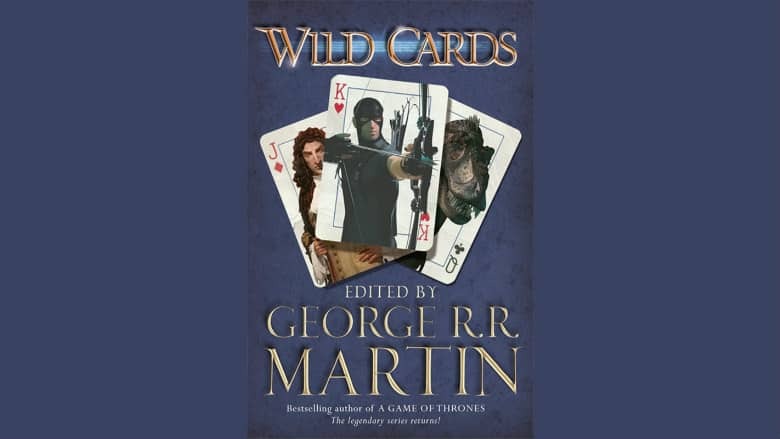 The Wild Cards series has been worked on by over 40 authors whose efforts have spanned across 27 published works since its debut in January 1987 and has been converted into comic books, graphic novels, and role-playing games. The book series is primarily set within an alternate history shortly after the events of World War 2. An alien virus was released upon the masses. Known as the Wild Card virus, it affected different people in a variety of ways. In 1% of the population it generated superhuman abilities – they were given the designation of Aces. The Wild Card virus kills 90% of those that contract the disease. While in the remaining 9% of others it would induce mild to major physical impairments. These people were dubbed Jokers. Hulu’s two Wild Card series would bring the property into the current day. Variety reports that Universal Cable Productions will produce the show along with Hulu. It’s also being reported that Andrew Miller has been tapped to write and executive produce both of the potential Wild Card series in development. Martin and Snodgrass will executive produce on the Wild Cards series as well. Hulu is said to be opening a writers room soon which Miller will lead to get the ball rolling.